*This* rose pink silk sari with metallic gold weave, completed with hand zari embroidery throughout. Why have one pattern when you can have two? 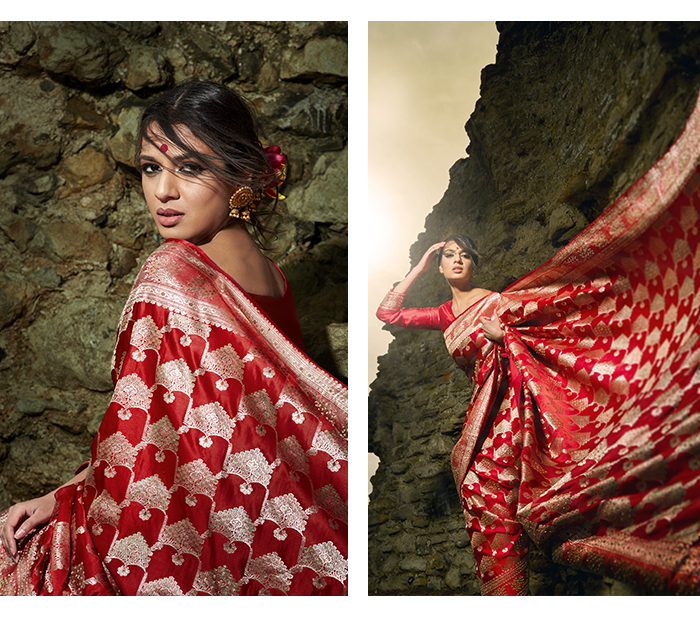 We love this elegant silk sari with twin weave patterns. It's finished with a net dupatta with four-sided embellishment borders. Looking for a traditional outfit for your Big Day? 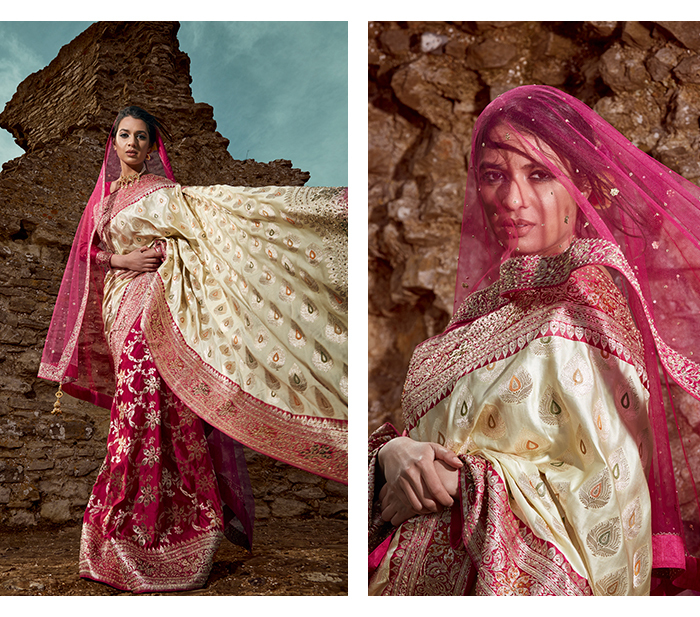 Rich red temple sari with gold motifs throughout the drape, partnered with full sleeved blouse. Catch the eye of the crowd with this rich violet Banarasi sari with embellished arm detailed blouse.